The Darjeeling district health department will introduce a central government scheme in government hospitals from August 9 to give free treatment to pregnant women to bring down maternal and infant mortality rates. According to Asit Biswas, the chief medical officer of health, Darjeeling, the Pradhan Mantri Surakshit Matritva Yojna scheme will be launched in the district on August 9. Biswas said: "Under the PMSMY scheme, on 9th of every month, free medical treatment will be given to expecting mothers at the subdivisional and district hospitals and the North Bengal Medical College and Hospital." "The doctors will examine the patients and conduct necessary tests like ultra sonography and blood tests. They will also provide the women with medicines like iron tablets at the hospitals," he added. The scheme was launched in June, after Prime Minister Narendra Modi made an appeal to the doctors across the country to provide free antenatal treatment to pregnant women once a day in every month, at a rally in Saharanpur, Uttar Pradesh, in May. The Union ministry of health and family welfare launched the scheme in states like Bihar, Uttarakhand, Chhattisgarh, Gujarat and Uttar Pradesh on June 9 when free treatment was provided to pregnant women in the state-run hospitals. Sources at NBMCH said the purpose of the scheme was to bring every pregnant woman to health centres during the course of their pregnancy so that there were less chances of maternal and infant deaths. An NBMCH doctor said: "There are women in the remote locations who never visit hospital during the course of their pregnancy. Some visit hospitals only when they develop complications. Sometimes the doctors despite putting in their best efforts cannot prevent maternal and infant deaths. Providing free medical treatment to pregnant women every month is a unique initiative. It will help lure majority of pregnant women from the remotest areas to visit the hospitals and avail themselves of the free antenatal care." "A meeting on the implementation of the scheme was held at Swasthya Bhavan in Calcutta last week. It was attended by health officials of Darjeeling district where they were asked to implement the scheme in the district on August 9," he said. 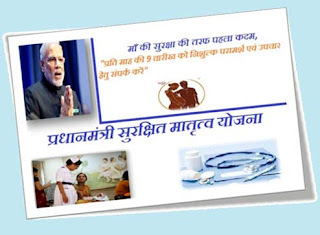 Darjeeling district health department will introduce a central government scheme, the Pradhan Mantri Surakshit Matritva Yojna scheme will be launched in the district on August 9.